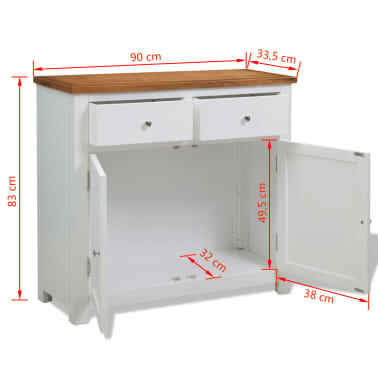 Our high-quality wooden sideboard, with its rustic style, will make a great addition to your living room, dining room, hallway, etc. 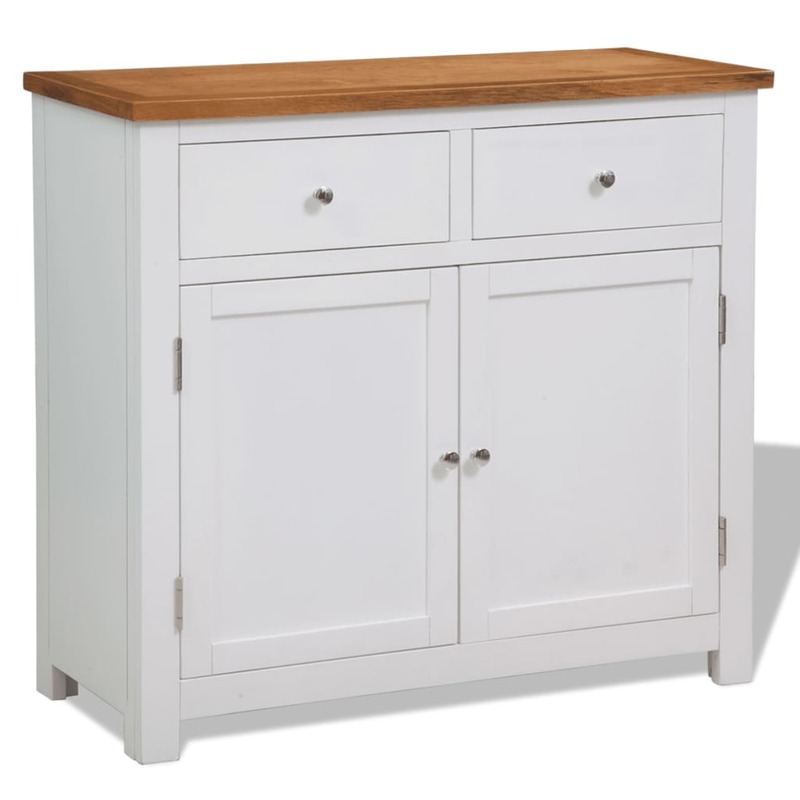 This sideboard has been expertly crafted from durable solid oak and acacia wood. 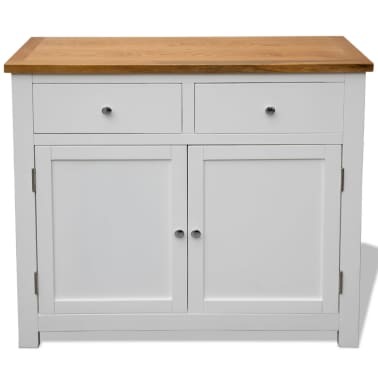 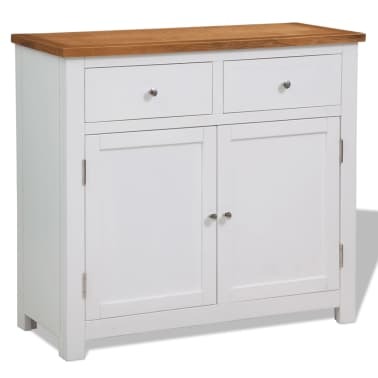 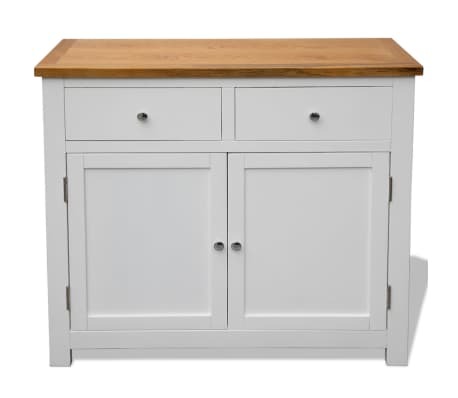 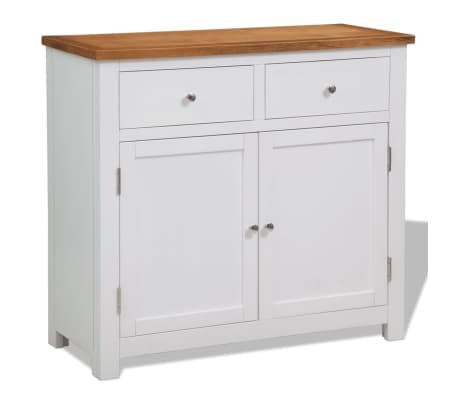 The clean edges and the polished metal knobs add to its modern country style. 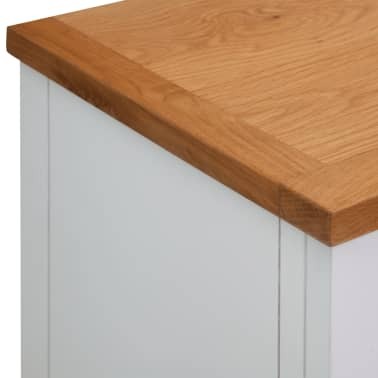 The rectangular top is ideal for placing a telephone or displaying decorative objects such as photo frames or potted plants. 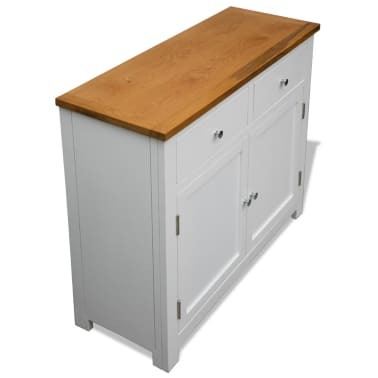 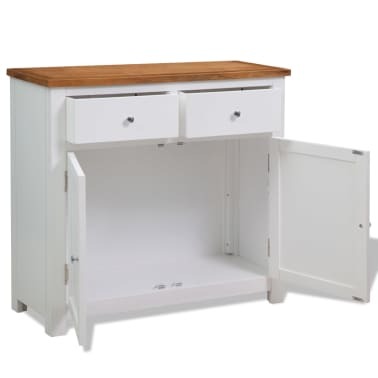 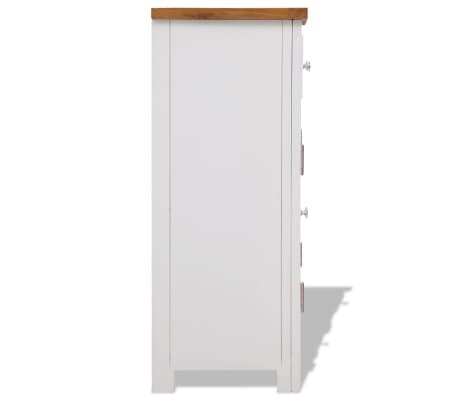 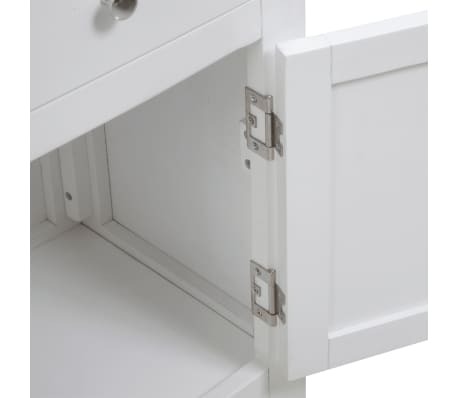 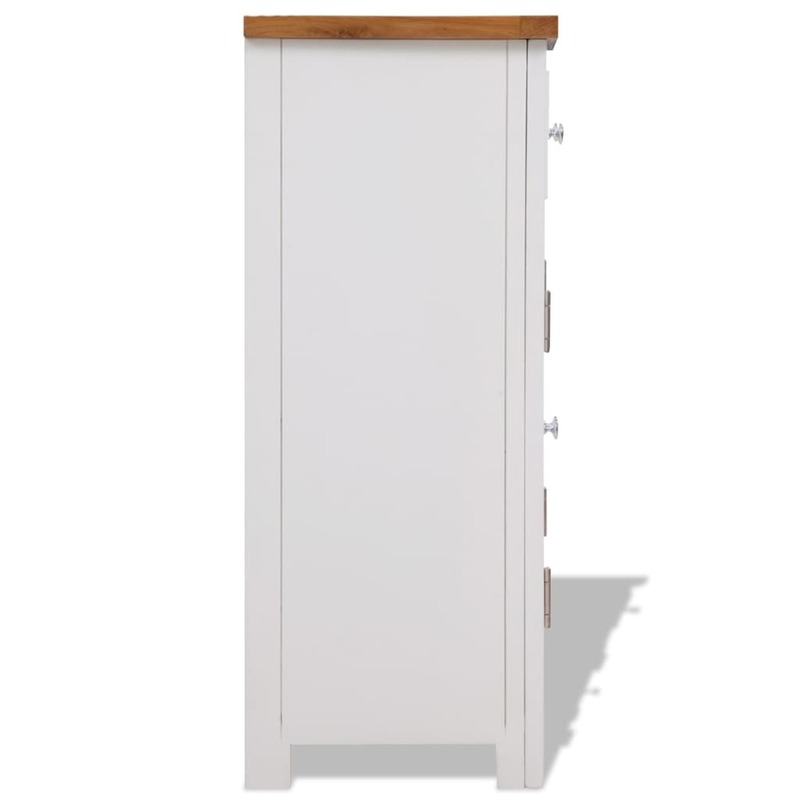 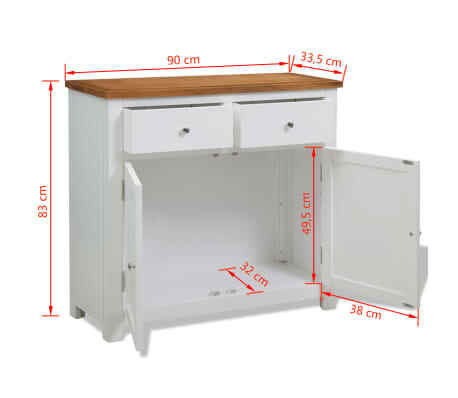 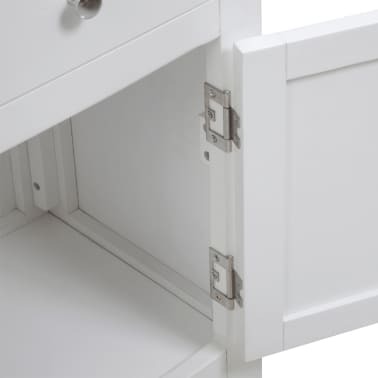 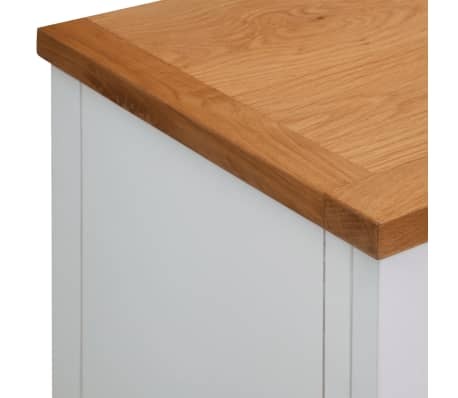 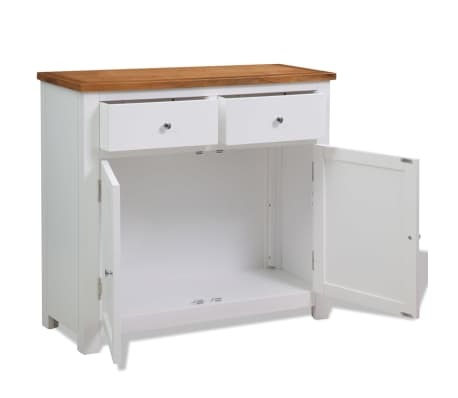 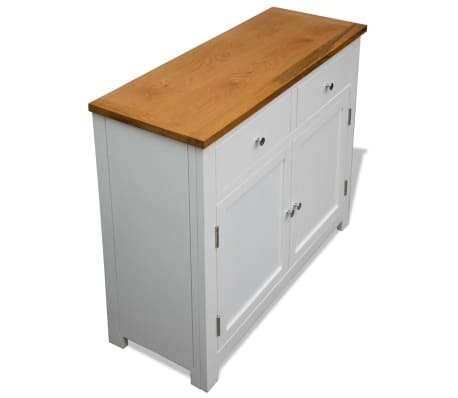 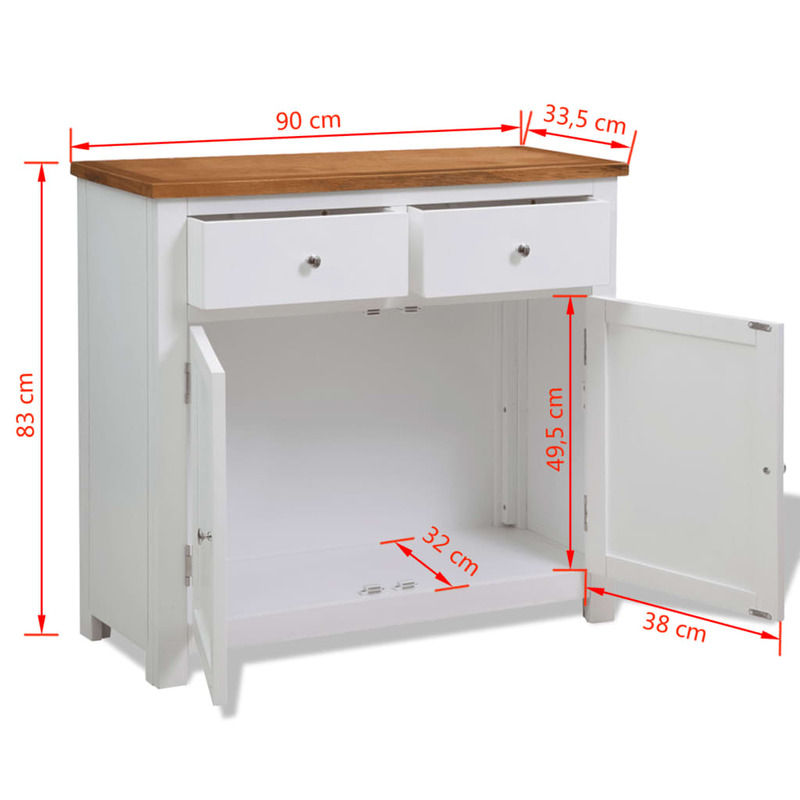 The two drawers and one cabinet provide ample space to store kitchenware in your kitchen or paperwork in your study.